Latest in weather and hazard alert monitoring technology, providing you with the information needed to keep you safe. Public Alert Certified. 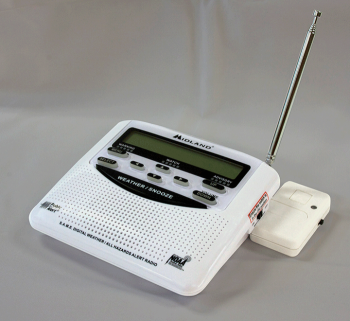 Unit has a special receiver that tunes to the 24/7 broadcast issued by the National Weather Service. 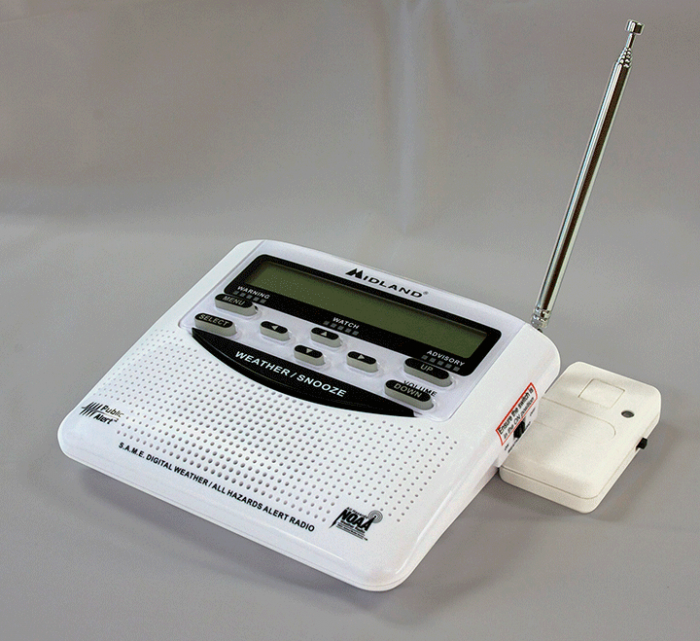 The combined All Hazards/Weather Alert broadcast network is the single most immediate source for comprehensive weather and emergency information available to the public. Innovative automatic alert system.